There's nothing wrong with a $12 Prosecco. Most are sturdy, a little sweet and offer refreshment and pairing possibilities throughout the year. But New Year's Eve deserves a serious step up. There's nothing wrong with a $12 Prosecco. Most are sturdy, a little sweet and offer refreshment and pairing possibilities throughout the year. But New Year's Eve deserves a serious step up. These three bottles from top producers have complexity and richness that makes them worth seeking out and saving for midnight—and they only just approach the price of most basic Champagne. 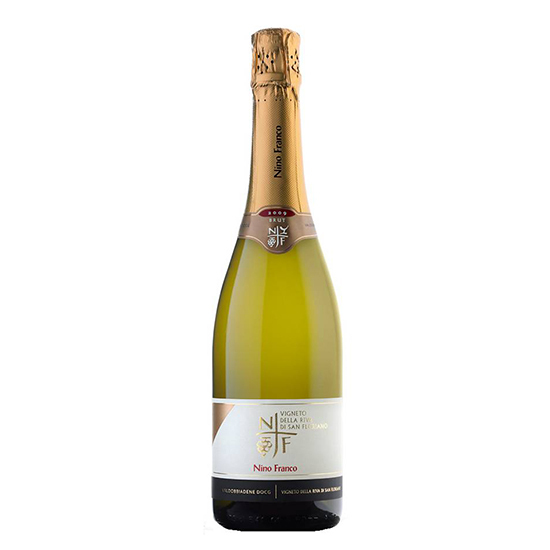 Floral and dry, this single-vineyard Prosecco is one of the world's great sparkling-wine bargains. It's not particularly hard to find, either. This elegant wine comes from Valdobbiadene, the area in Italy's Veneto region that produces many of the best Proseccos. It's appley and minerally, with loads more complexity than its price would suggest. Historically, the cream of the Valdobbiadene crop has come from Cartizze, a small hilltop vineyard owned by more than 100 growers. This rich, complex bottling from Bisol—a family that's made wine in the area since the 17th century—is one of the best examples.